Tickets for Juventus games can be bought online via Listicket or Viagogo and by phone 892 982 (from Italy) or +39 02 600 60 900 (from abroad), or at one of the Listicket sales points. Juventus sold out most matches in their first season at the Juventus Stadium and its advisable to book as much in advance as possible. 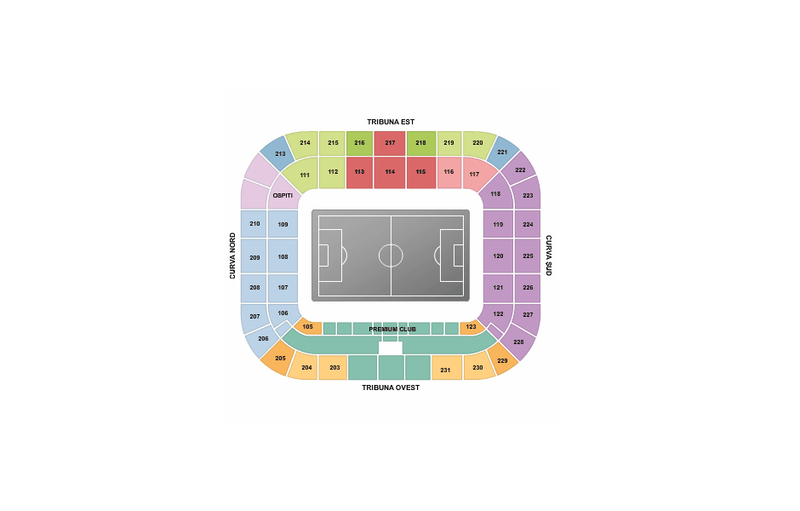 Ticket prices typically start at €35.00 for a seat behind one of the goals and range up to €90.00 for the central seats at the long sides. Juventus Stadium houses the Juventus museum, which highlights the history of the club. On top of that, the club organises guided stadium tours that include access to the dressing rooms, players’ tunnel and media areas. The museum opens every day of the week except Tuesdays from 10:30 am to 6:30 pm (last entry at 5:30 pm). Tours run Mondays, Wednesdays, Thursdays, and Fridays at every hour between 11:00 am and 4:00 pm. On the weekend and public holidays they run every half an hour between 11:00 am and 5:30 pm. There are no tours on matchdays. Tours can be booked online or at the Ticket Office at the stadium. Entrance to the museum costs €12.00, the combination of tour and museum €18.00. For more information email stadiumtour@juventus.com, or call +39 899 999 897.